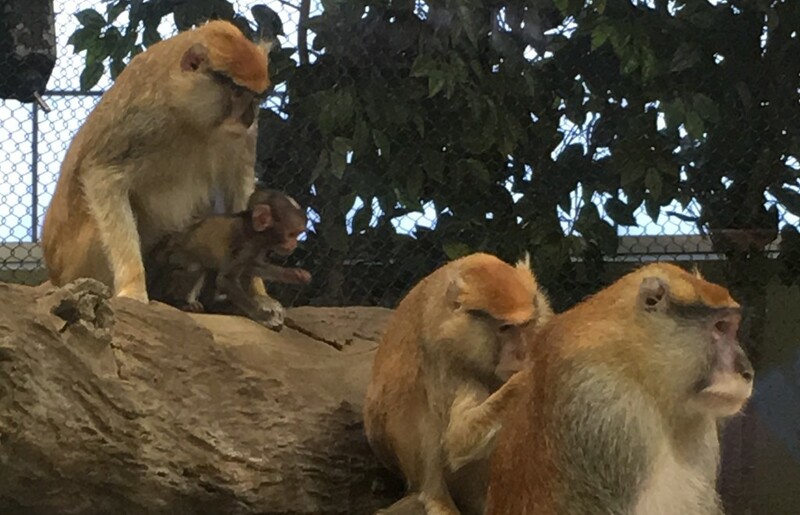 Zoo Boise is happy to announce the birth of a patas monkey. The baby was born on July 20 to parents DJ and Incus. 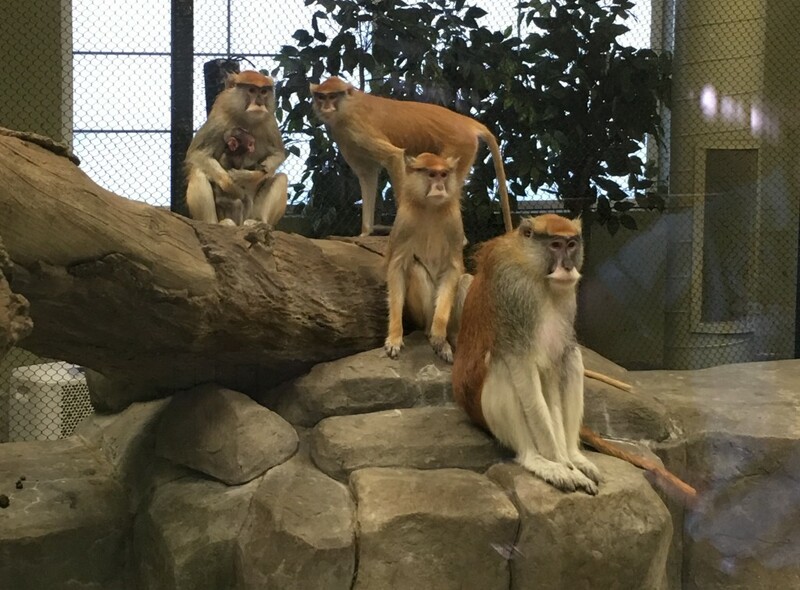 This is the third patas monkey born at Zoo Boise; two others were born in October 2014 to DJ and another adult female, Kibibi. DJ, 5 years old, came to Zoo Boise with her sister from the Rosamond Gifford Zoo in Syracuse, NY. This is her second baby and she is once again proving to being a very attentive and caring mother. 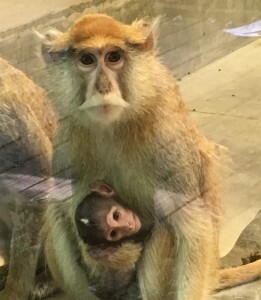 The baby, whose gender is currently unknown, can now be seen on exhibit at the zoo along with its parents, aunt and sister. Patas monkeys are native to sub-Saharan Africa from Senegal to Ethiopia. They are mostly ground dwelling monkeys and are excellent runners, reaching speeds up to 35 miles per hour. Most days, the patas monkeys may be seen in their outdoor exhibit from Zoo Boise’s Conservation Cruise ride. The Conservation Cruise is one of the zoo’s conservation attractions, which raises additional dollars to support wildlife projects around the world. The cost to ride the Conservation Cruise is $1.00. Zoo Boise invites the community to Keep Your World Wild. The zoo turns the act of visiting the zoo into a conservation action. In the last nine years, visits to Zoo Boise have generated $2 million towards the conservation of animals in the wild, redefining why we have a zoo. Recently, Zoo Boise pledged $100,000 to help replant native vegetation on burned Table Rock. The zoo has also pledged $2 million over 10 years to support the restoration of Gorongosa National Park in Mozambique and is currently in raising funds to build a Gorongosa National Park Exhibit in Boise. 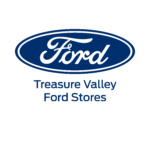 Zoo Boise is accredited by the Association of Zoos & Aquariums, a national organization that supports excellence in animal care, conservation, education and science.